Communicate – General > Unified Communications permission or the Engage User role. Use your voicemail PIN to access your voicemail from your phone when you are not logged in to PureCloud. 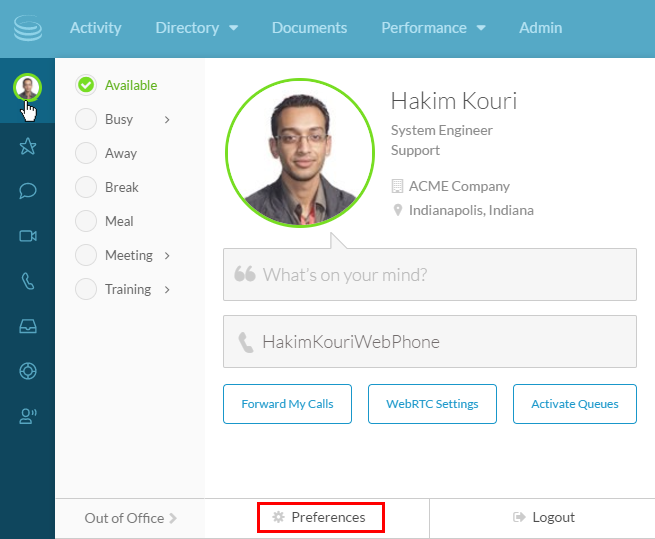 Change your voicemail pin from your preferences settings. Click your profile picture on the sidebar to access user settings, and then click Preferences.